This semester I am co-teaching the first year course Society and the Environment in the McGill School of Environment. I teach a diverse set of lectures that are mainly focussed on commons, urban ecosystems, and resilience, but also include cost-benefit analysis and ecological futures. My colleagues cover a whack of other topics. Below are the assinged readings for my sections of the course. Hardin, G. 1968. Tragedy of the commons.. Science, 162(1968): 1243-1248. Dietz, Thomas., Elinor Ostrom, Paul C. Stern. 2003. “The Struggle to Govern the Commons.” Science. 302(5652): 1907-1912. Davis, M.. 2004. Planet of slums. New Left Review 26, March-April. Jannson et al 1999 Linking Freshwater Flows and Ecosystem Services Appropriated by People: The Case of the Baltic Sea Drainage Basin. Ecosystems 2(4) 351-366. Colding, Johan, Jakob Lundberg, and Carl Folke. 2006 Incorporating Green-area User Groups in Urban Ecosystem Management AMBIO: A Journal of the Human Environment: 35(5) 237–244. Millennium Ecosystem Assessment Board. 2005 Living Beyond our Means: natural assets and human well-being: statement from the board. Island Press. Dietz, T. et al. 2007. 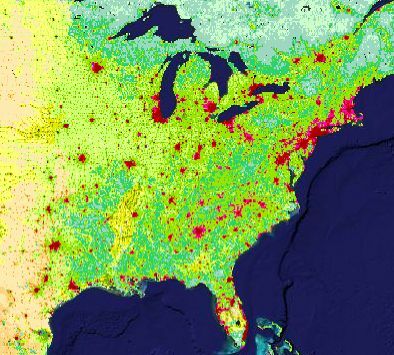 Driving the human ecological footprint. 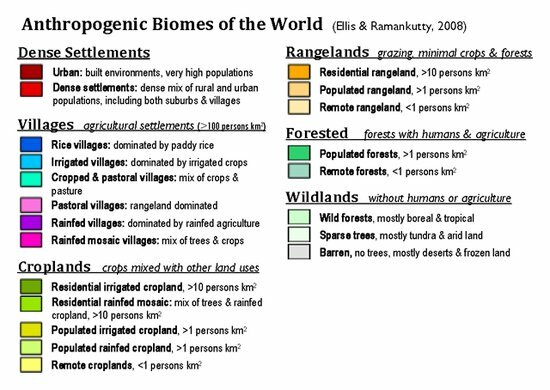 Frontiers in Ecology 2007; 5(1): 13–18. Revved-up evolution allows invasive species to rampage through new habitat, a study published in Molecular Ecology shows. The seeming ease with which chinook salmon Oncorhynchus tshawytscha colonized New Zealand in the early part of the twentieth century was a complex combination of ecology and evolution, according to University of Maine biologist Michael Kinnison and colleagues. Studies of biological invasions have often considered ecology — freedom from predators and/or parasites, lack of competition and so on — but evolution on a short timescale has seldom been seen as a major factor. Kinnison’s neat experimental approach, which involved releasing captive-bred salmon to several NZ river systems, showed that substantial and rapid evolutionary change has taken place among populations with differing local ecological conditions. The ever-worsening threat that invasive species pose to global biodiversity suggests the need to take evolvability very seriously, and these findings raise many questions about how we tackle the problem. Adger W.N. 2000. Social and ecological resilience: are they related? Progress in Human Geography 24(3): 347-364. Becker, C. D., and E. Ostrom. 1995. Human-Ecology and Resource Sustainability – the Importance of Institutional Diversity. Annual Review of Ecology and Systematics 26:113-133. Bengtsson, J., P. Angelstam, T. Elmqvist, U. Emanuelsson, C. Folke, M. Ihse, F. Moberg, and M. Nyström. 2003. Reserves, Resilience and Dynamic Landscapes. Ambio 32:389-396. Berkes F, Hughes TP, Steneck RS, Wilson J, Bellwood DR, Crona B, Folke C, Gunderson LH, Leslie HM, Norberg J,. Nyström M, Olsson P, Österblom H, Scheffer, M, Worm B. (2006). Globalization, roving bandits and marine resources. Science 311: 1557-1558. CS Holling. 2001. Understanding the complexity of economic, ecological and social systems. Ecosystems 4: 390–405. Daily, G. C., T. Soderqvist, S. Aniyar, K. Arrow, P. Dasgupta, P. R. Ehrlich, C. Folke, A. Jansson, B. O. Jansson, N. Kautsky, S. Levin, J. Lubchenco, K. G. Maler, D. Simpson, D. Starrett, D. Tilman, and B. Walker. 2000. Ecology – The value of nature and the nature of value. Science 289:395-396. Elmqvist, T., C. Folke, M. Nyström, G. Peterson, J. Bengtsson, B. Walker, and J. Norberg. 2003. Response diversity, ecosystem change, and resilience. Frontiers in Ecology and the Environment 1(9):488-494. Folke, C., S. Carpenter, B. Walker, M. Scheffer, T. Elmqvist, L. Gunderson, and C. S. Holling. 2004. Regime shifts, resilience, and biodiversity in ecosystem management. Annu. Rev. Ecol. Evol. Syst. 35:557-581. Holling, C. S., L. H. Gunderson and D. Ludwig. 2002. In Quest of a Theory of Adaptive Change. In: Gunderson, L.H. and Holling C. S. (Eds). Panarchy: Understanding Transformations in Human and Natural Systems. Island Press, Washington DC. Holloway, M. 1998. Trade rules: a World Trade Organization decision about sea turtles raises doubts about reconciling economics and the environment. Scientific American. Vol. 279, No. 2, pp 33-35. Kremen, C. and R. S. Ostfeld. 2005. A call to ecologists: measuring, analyzing, and managing ecosystem services. Frontiers in Ecology and the Environment. Vol. 3, No. 10, pp. 540–548. Olsson, P., and C. Folke. 2001. Local ecological knowledge and institutional dynamics for ecosystem management: A study of Lake Racken Watershed, Sweden. Ecosystems 4:85-104. Ostrom, E., J. Burger, C. B. Field, R. B. Norgaard, and D. Policansky. 1999. Sustainability – Revisiting the commons: Local lessons, global challenges. Science 284:278-282. Peterson G., C.R. Allen, and C.S. Holling. 1998. Ecological resilience, biodiversity, and scale. Ecosystems 1:6-18. Richard J.T. Klein, Nicholls R.J., and Thomalla F. 2003. Resilience to natural hazards: how useful is the concept? Environmental hazards 5: 35-45. Thomas Dietz, Elinor Ostrom, Paul C. Stern. 2003. The Struggle to Govern the Commons. Science. Vol. 302. no. 5652, pp. 1907 – 1912. Any further suggestions would be great. If you have any additional suggestions of readgins, leave a comment, with the reference and a note explaining why the reading is interesting. 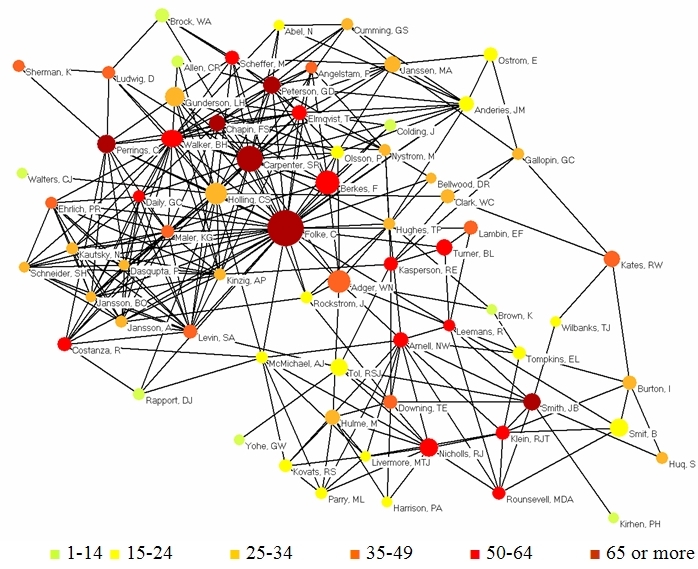 Janssen mapped the co-author network of the almost 7000 unique authors in the data set. He selected the 16 most productive authors with a minimum of 15 papers. Both sets make up the set of 17 authors who are very productive and/or collaborative. Next, we determined all co-authors for those 17 authors, but kept only the 69 authors who had published a minimum of six papers. The figure above shows the most productive and best connected authors with the strongest co-authorship relations. Circles denote author nodes, and are labeled by the author’s last name and initials. Legend: Node – author; Node area size—# of publications; Node area color—# of unique co-authors. Also, interestingly, three of the journals that contain the most articles in this field were newly founded in the past decade: Global Environmental Change, Ecology and Society, and Ecosystems. Ecology and Society is the most journal with the most papers in the resilience domain and the 4th greatest number of citation. Burton, I., R. W. Kates, and G. F. White. 1978. The environment as hazard. Oxford University Press, New York, New York, USA.